Dhaka, 1 October, Abnews: Australia has described the situations in Myanmar’s Rakhine, Shan and Kachin states ‘deeply disturbing’ and condemned the atrocities committed. 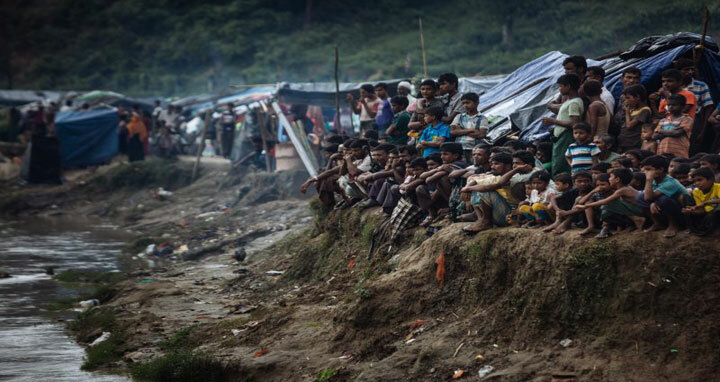 During the 39th session of the United Nations Human Rights Council (HRC) in Geneva recently, Australia delivered a strong statement highlighting the deeply disturbing situations in Myanmar, said the Australian High Commission in Dhaka on Monday. “We also supported a resolution to pursue accountability for serious international crimes,” said the High Commission. It said Australia strongly condemned the ongoing human rights abuses in Syria, and expressed concerns for the situations in Burundi, Democratic People’s Republic of Korea, Democratic Republic of Congo, Nicaragua, Somalia, South Sudan, Venezuela and Yemen. Australia led a successful resolution to recognise the vital role of National Human Rights Institutions that promote human rights, inclusive societies and sustainable development. “We also amplified voices in the Pacific by delivering a statement on behalf of 15 neighbouring countries on our collective resolve to tackle barriers faced by people living with disability,” said the High Commission. Australia reaffirmed their commitment to promote and protect the rights of indigenous peoples, including indigenous human rights defenders. “We also joined cross-regional partners to support a resolution that addressed preventable maternal mortality,” said the High Commission.